As many of you know, the late winter into early spring is my busiest time of the year. For almost two months, I work seven days a week, ten hours a day editing manuscripts for the fall book season. I have almost four weeks more, and then I can be a regular person again. And when I have some free time, I'll be back reading blogs and participating in the following events. 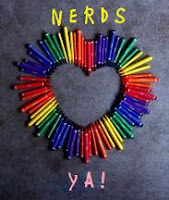 I am thrilled to have again been chosen as one of the judges for the Nerds Heart YA tournament. This "bracket style competition" was developed to "showcas[e] books that had not received as much publicity as the big hitter books" of 2010, providing "more visibility for fantastic, under represented books." The books were nominated by public, were published in 2010, and "[f]eature characters, or are penned by authors" that fit one or more of the following categories: POC, GLBT, disability, mental illness, religious lifestyle, lower socioeconomic status, and plus size. The tournament begins in April, and I'm looking forward to learning which books made the cut and which ones I get to read. Visit the Nerds Heart YA blog for more information. 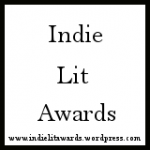 As you know, I read a wide a wide variety of books, and I'm happy to be participating in a different kind of book event: the second annual Indie Lit Awards. I will be a voting member in the category of memoir and biography. Here's information about the awards: "The Independent Literary Awards are book awards given by literary bloggers. Lit bloggers write about books and literary related items. They are the fastest growing form of publicity in the literary world, though most are still independently run and do not receive compensation for their reviews or recommendations." Nominations for the next awards will not be open until September, but I encourage you to become familiar with and subscribe to the LLA blog so you'll be ready to nominate your favorite title in each of this year's categories: literary fiction, GLBTQ, nonfiction, speculative fiction, memoir/biography, poetry, and mystery. 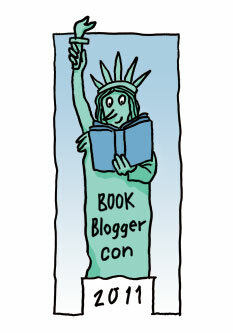 And finally, because clearly I do not have enough to do, I am more than honored to have been asked to serve on panel at second annual Book Bloggers Convention to be held in New York on May 27, the Friday after Book Expo America (BEA) closes. The session I'll be participating in is called "Navigating the Gray Areas of Book Blogging" and will be moderated by Heather from Age 30+ . . . A Lifetime of Books. The panel is made up of industry professionals and book bloggers: Bethanne from The Book Studio, Kathleen from Bookish Broad, Pam from Mother Reader, and Amy from Amy Reads. For more information about the convention and to learn how you can register to attend, please visit the dedicated blog. I'm looking forward to all these events (and BEA). I'm also counting the weeks until I can once again visit your blogs on a regular basis. Can't wait to finally meet in person at BEA! Hope your busy season ends wonderfully, Candace! Happy St. Patrick's Day. It's being busy for worthwhile reasons. Thank you for being such a hard-working advocate for good books. I am a panelist at the BBC this year too!! I really hope we get a chance to meet Beth! Do wish I could attend the BBC but I'm stuck at home. I read the blogs about it last year turning green with envy. Maybe next year. well, hopefully you'll get a chance to take a deep breath at some point.=) It sounds like you'll be busy for awhile but at least it seems like a good busy. Oh, that Beth Fish really gets around! Such an honor to be on all these panels. Well done, Beth. Congrats on being asked to participate in all three of these! You will be busy, but I bet you'll have a ton of fun. Sounds like it's time for another name change. Now you can be Busy Fish. Clearly you do not have enough to do - shaking my head. What a great panel that will be. I am sorry I am going to miss it. You're involved in some really fantastic projects! So excited to have you joining us for BBC, we're lucky to have you!